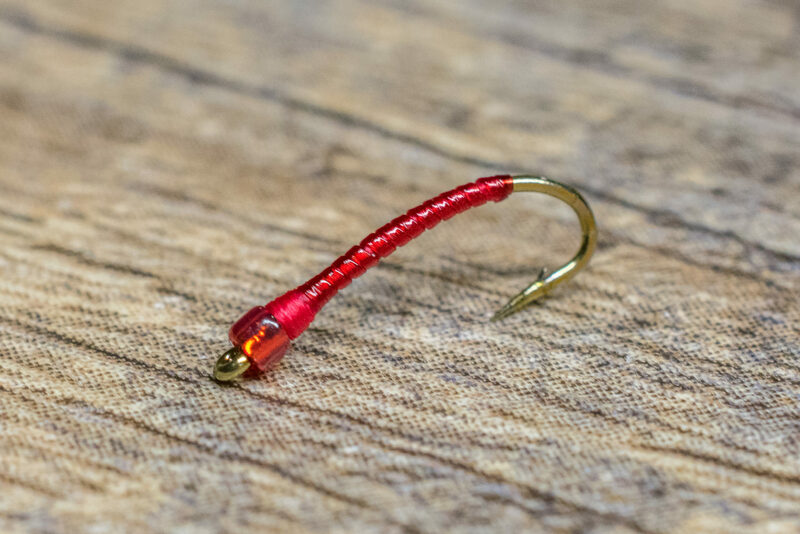 The Bead Head Red Larva is another great option that imitates red midge larvae. Midge larvae that reside in low-oxygenated parts of a stream or lake are commonly referred to as bloodworms or blood midges. These blood midges contain hemoglobin, an oxygen carrying pigment that allows them to survive in environments with little or no oxygen. This pattern has been one of our favorite larvae imitations since the beginning. 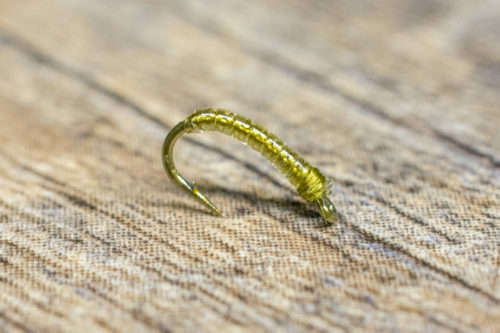 We recommend using this pattern as an attractor in a multi-fly nymphing rig with another midge or mayfly behind it and you’re set up for success. The Bead Head Red Larva fishes well year-round, but it is especially effective during the shoulder seasons and winter months. The Bead Head Red Larva is an excellent attractor in a tandem nymphing rig. We tend to dredge this pattern near the substrate where the largest concentrations of midge larva are found. 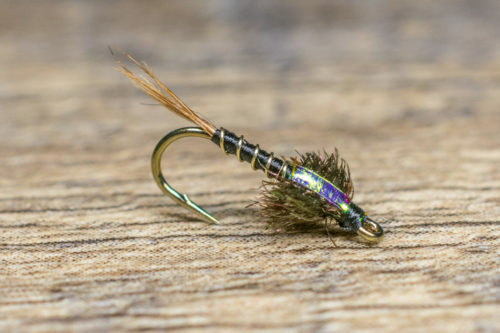 This pattern has proven itself many times on famed western tailwaters like the Big Horn, San Juan, Green, Arkansas, South Platte, Blue, Yampa, Frying Pan and Williams Fork. In other words make sure you always have some Bead Head Red Larva in your fly box!